Sometimes you just need to bake up a batch of the world's best Brownies. When this happens to me, I know right where to turn. Alice Medrich, the queen of chocolate desserts perfected this recipe so I did not have to. If you can find a copy of this out-of-print classic grab it, or use your google fingers to find more of her excellent recipes. In this one, simple ingredients can be mixed right up in a big measuring pitcher. I microwave the chocolate and the butter in the bowl, then just add the other ingredients. 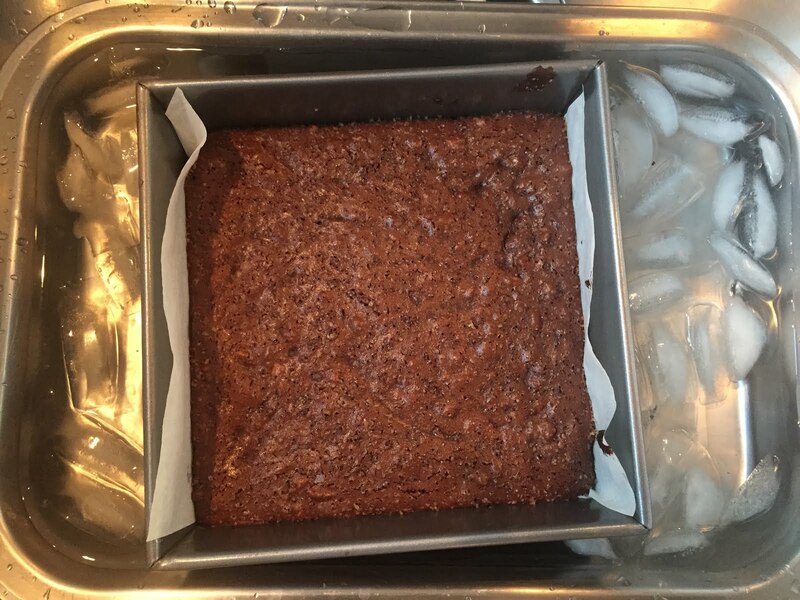 If you get the book you can read about the "Steve Ritual" or the practice of baking the brownies a mere 20 minutes in a hot oven, then putting the hot pan in a ice water bath to cool and become magically fudgy. Preheat the oven to 400F and line and 8-inch square metal baking pan with foil. Melt the butter and the chocolate together, on top of a double boiler or in the microwave, stirring often until smooth. Stir in sugar, vanilla and salt. Add eggs one at a time, followed by flour. Stir until very smooth, about 1 minute. Add nuts, if using. Scrape batter into prepared pan and bake at 400F for 20 minutes. Meanwhile, prepare a water bath. Fill a large roasting pan with water and ice about 1 inch deep. 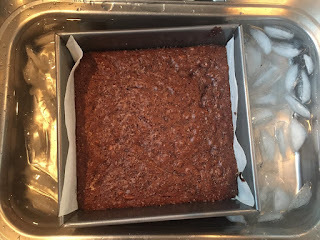 When the brownies are done – and they will look a bit dry on top – take them immediately from the oven and place in the water bath. Add more ice to the water if necessary. Allow to cool completely in the bath before removing the pan and cutting the brownies.